Okay, let's clear up some myths about vampires. First of all, you won't see me using the V-word much. In the Night Watch we prefer the term parasite-positives, or peeps, for short. I made some mistakes with vampire and urban fantasy type books lately as my reviews will tell. I remain hopeful of finding some GOOD ones. I know they're out there but there's a lot that's not to my taste obscuring the great reads. I made a rather different mistake here. That was to start reading late at night. I thought I'd read a chapter or two then get some sleep. Here I found a very different vampire novel and a very well researched book. I particularly love books that have great research at the centre - other examples are The Historian by Elizabeth Kostova and The Guernsey Literary and Potato Peel Pie Society by Mary Ann Shaffer. They gain a great deal of strength from their research and I love to gain knowledge while enjoying a fantastic story. The depth and integration of research into Peeps is brilliant. I think this is what kept me reading past so many just-one-more-chapter deadlines. Like The Historian, Peeps suffers from a weak ending. The fantastic research and resulting species and world-building appears to be the point, but whilst most of the story worked well certain aspects of the ending felt contrived - they were just there so that things could be brought neatly to a close to create a story rather than a fascinating study. Also like The Historian I can forgive Peeps because I loved the rest of the book so much. Peeps won't be for everyone. There's a crash-course in parasitology and epidemiology strewn throughout - pretty much every second chapter is mostly factual research. It's well written and concise to keep the reader's attention. It is, however, probably not for those who are very squeamish. On the other hand, if you like urban fantasy, less starry-eyed-and-too-perfect vampires and a well researched story I'd definitely recommend this book. It's a few years old now but not too hard to find. There's a second novel, The Last Days, that connects to this one though according to the summary I have read does not focus on the same characters. I'll be looking forward to reading this one soon and seeing what it has to add. 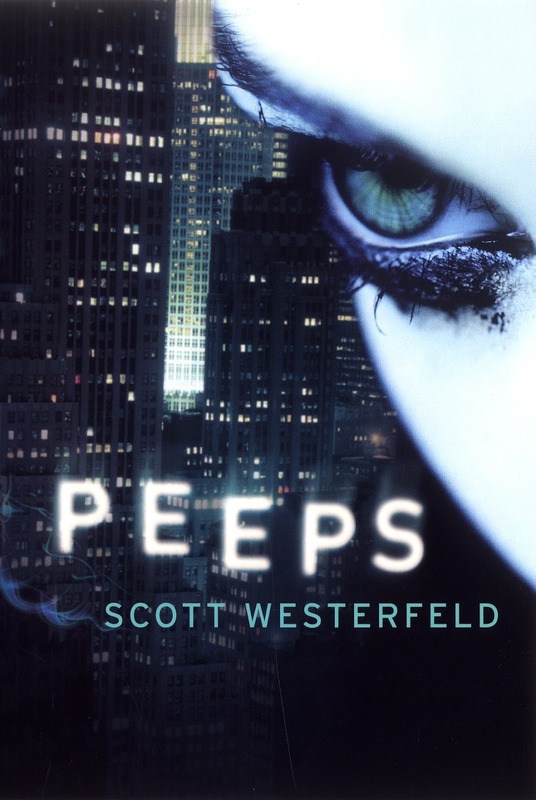 Scott Westerfeld was an author I'd noticed enjoying some popularity a while ago - but as I find popularity and quality don't necessarily have a whole lot to do with each other in the book world I'd not been in any particular hurry to read his work. I believe I've found a new author to explore the works of here! I have heard about this book from everyone it seems and it has come highly recommended from all. For good reason I should add. Mary Ann Shaffer and Annie Barrows did a tremendous job in co-authoring this novel.